Familie Nes - Pennington Accommodation. 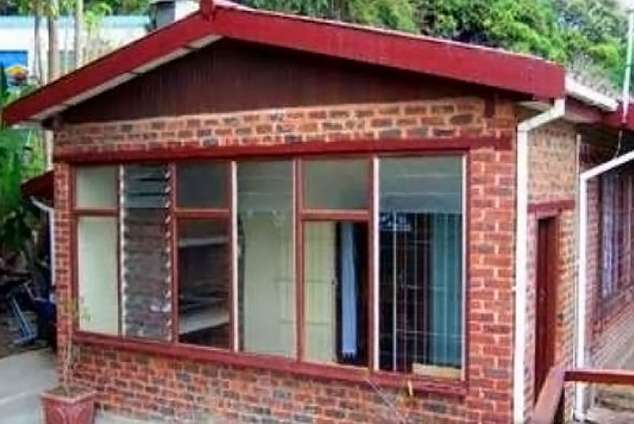 A lovely, spacious 10 sleeper self-catering house (three bedrooms and two bathrooms). The first bedroom has a double bed with two single beds and an on suite bathroom with a shower, basin and toilet. Second bedroom has a double bed with two single beds. Third bedroom has two single beds. Each room is equipped with a wardrobe. Second bathroom has a bath, shower, basin and toilet. Linen are supplied. Please bring own bath and beach towels. The kitchen is fully equipped with a big fridge/freezer, stove with oven and microwave oven. The kitchen has got a big serving hatch which couples with the lounge/dinning area. In the lounge is a lounge set, big 8-seater table, breakfast nook which can seat 6 people and TV. Leading out of the lounge area is a stoep with an indoor braai. There is secure parking for cars and trailers which is locked behind a garage door. Situated: Familie Nes is situated in a quiet neighbourhood 500m from beach, surf fishing and rock pools. 14km from Scottburgh and 90km from King Shaka Airport. A small shopping mall with supermarket, village pub/restaurant, doctor, dentist, pharmacy, post office and bottle store is 1.2km down the road. Umdoni, Selbourne and Scottburgh golf courses are a stone throw away. 53252 page views since 14 Oct, 2005. Last updated on 20 Nov, 2018.